Are you ready to upgrade from SharePoint 2010 to Office 365? While sitting on a panel at a SharePoint conference, I heard a very good question. “We’re on SharePoint 2010 and are planning to go to SharePoint 2013 on Office 365, is there anything we should do to get ready?” And I imagine she isn’t the only one in this situation. As Office 365 becomes more and more appealing, those with SharePoint 2010 will eventually be facing a similar situation. Coming from SharePoint 2010 is a good scenario when moving to Office 365. There isn’t that many potential issues to be watching out for, though there are things you should know. First things first, we have to look at what we are going to use for our identity store. Huh? The SharePoint 2010 On-Premises that you have is currently using your Active Directory to see users and groups as well as for authentication. Of course, you may have set up SharePoint differently, but in most situations that’s what’s going on. So before even starting a SharePoint upgrade, we have to figure out what we’re going to do with this. There was another very interesting question at this same panel, what is the difference between ADFS, Azure AD, DirSync and Office 365 Users. ADFS: ADFS is a secure tunnel between your servers On-Premises and your Office 365 environment. The purpose of this tunnel is to keep all your users and the management of identities in your own Active Directory. In short, Office 365 trusts this tunnel and can therefore offload identity management and authentication with your servers. Technically it’s not exactly that happening, but it helps better understand. The downside of ADFS is that it requires a server to install and set up. Azure AD: If you don’t know this already, Office 365 is really just a brand that packages Azure services together under one roof, one licensing and one administration console. When you create new Office 365 users, they are actually created in an Active Directory service associated to your tenant in Azure. You don’t see this unless you also purchased Azure for your organization, only then will you see the service created for your Office 365 users. And this is the scenario for all organizations that do not use ADFS and simply create users in their Office 365. The downside to this is that if you have an On-Premises environment as well, you now have two places to manage users and passwords. That’s why there is something called DirSync. DirSync essentially copies your users from your On-Premises Active Directory, along with some properties and if you want password (though it’s not the actual password being copied) and into Azure AD. Yes DirSync is a tool that copies your users. It’s easier to set up than ADFS, but means you now have your users in two locations, it’s not single sign on but “same sign on”. Before you upgrade from SharePoint 2010 you should understand what you’re going to do with your identities, because you are not simply upgrading SharePoint but also going to the cloud. 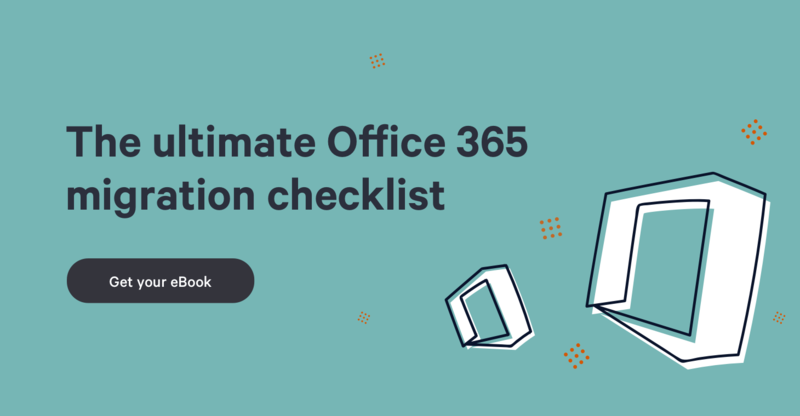 You can look at how to configure Office 365 to use your Active Directory before upgrading to see how it’s done in the console and on your servers. Even if I told you everything that does not migrate well from SharePoint 2010 to SharePoint 2013, if you don’t know what you have or where they are in your environment then it is useless information. Your SharePoint inventory is crucial for this upgrade, but in my opinion goes way beyond just this project on your hands. You should always keep a detailed inventory of SharePoint to help you better manage it in the future. Where are all the sites that have workflows, the lists with custom content types and pages with Content Editor Web Parts? Who is the owner of those sites so we can go talk to them and ask relevant questions. Third Party Tools: If there is a need for something in SharePoint, you can bet somehow has built something to help with it. The ecosystem is large and we can easily find something to help us. Obviously I work for Sharegate so the one I will recommend is our own management tool since it does not require any server install and doesn’t cost an arm and a leg. You can try it out for free here. However, I do recommend you check out all the different tools out there that can inventory your SharePoint so you can find the one that’s right for you. PowerShell: PowerShell is extremely powerful and can do your inventory for free. The downside is you need to know how to properly use PowerShell. But it’s important to know that it can be done. Since I’ve allowed myself to shamelessly plug our product I have also written a step by step to use PowerShell and Visio to build an inventory of SharePoint. You can use that to start building your inventory and of course work your magic to make the PowerShell give you exactly the information that you need. With things like Search and now Yammer and Delve working closely with SharePoint, you can’t simply copy paste what you had in Office 365. Some things will work differently and others will need to work differently to provide value to you. That’s why this is the perfect time for you to change while upgrading. You’ll see the value of the inventory you built immediately during this process. Let me give you our secret here at Sharegate when migrating any environment to Office 365. We’ve implemented a model we have found to work very well “RMR” or Remove, Migrate or Rebuild. We essentially tag items in our inventory with one of these three items, helping us understand what we will need to Remove, Migrate or Rebuild during the upgrade. Of course you can change these words to include other actions that make sense for your scenario. But we don’t stop there, highly influenced by SCRUM in our way of working, we also assign “point” from 1 to 10 that represent the effort for this action. For example, if in my inventory I have a site that we have tagged as “Rebuild” and I know it has a lot of customizations and there will be some unknowns in Office 365 well I also tag it the number 8 or even 9 with my upgrade team. This way I can always set milestones and expectations by saying “In the next three months we will be able to do a total of 50 points, which ones from the inventory would you like me to do”. Of course this is from the perspective of a consultant, but it works just as well for you internally. Once again, building the inventory is extremely important. It doesn’t have to be an overnight thing; SharePoint has an advantage by being a web platform. It’s all hyperlinks and you can create your own. What I mean by that is that even if one is SharePoint 2010 On-Premises and the other Office 365 with SP2013 the user won’t know and won’t care. Look at what needs to be done and maybe you can do the migration over the weekend or maybe it’ll take a few months, just remember they don’t have to live separately. If you'd like a video tutorial on migrating to Office 365, check out this Sharegate Academy lesson we recorded. The migration of SharePoint 2010 to Office 365 works great with Sharegate. Test it out yourself, download Sharegate.